After almost a decade of practicing medicine I have found that our digestive systems are key to our overall health and if the digestive system isn’t functioning optimally the rest of our body isn’t either. Conditions such as acid reflux, gas, bloating, diarrhea, constipation, brain fog, pain, autoimmune conditions and weight gain can be signs of leaky gut, small intestine bacterial overgrowth (SIBO), candida (yeast) overgrowth, food sensitivities, lack of digestive enzymes or stomach acid, hormonal imbalances, fibromyalgia, hypothyroidism and adrenal fatigue or excess. I look at stool testing as a foundation for determining your body’s owner’s manual as once we know what’s going on in your digestive system we can better troubleshoot the rest of the body. Stool testing is able to determine if you have sufficient stomach acid and pancreatic enzymes to break down the foods you consume. It tells us if you are able to break down vegetables, fruits, grains, fats and proteins sufficiently. It gives us a snapshot of all the bacteria that are currently living on your digestive system lining and breaks it down in terms of the beneficial bacterial counts and the pathogenic bacterial counts. It’s a great way to see if your digestive system lining has allowed for the beneficial bacteria that you are supplementing with or ingesting in the form of fermented foods are surviving. Stool testing can rule out if you have parasites and yeast overgrowth as well. It can indicate the level of digestive system lining inflammation, excesses and deficiencies in certain enzymes and nutrients as well. Stool testing is a great way to figure out if one needs to calm inflammation on the gut lining, supplement or rotate good bacteria, if there is a need for digestive enzymes or hydrochloric acid or if there is a allergic response occurring on the gut lining. It is a great way to target your supplement efforts as well as dietary efforts. Stool testing is the foundation to obtaining optimal health. Hello, I’m Doctor Jannine Krause and today I’m going to talk about how your digestive system is key to your overall health. If your digestive system isn’t functioning properly, the rest of you isn’t going to function properly. Why, because your whole digestive system is really integral for mood, its your second brain, its also really important for your immune system, and so if your digestive systems trashed, your immune systems going to be trashed and so a healthier digestive system the healthier immune system, the healthier the digestive system, the healthier the mood is going to be, and so, nevertheless, one of the big things that I like to talk about first is the red lights. Looking at warning lights. Is there anything going on in your digestive system that’s not exactly the way you want it to be. Gas, bloating, burping, constipation, diarrhea, those are all huge warning lights that something is not right in the digestive system. You should be pooping at least once a day. Maybe twice or three times, thats great! How many out there look at your poop? Yep, I said poop. Ya gotta look at it. Its your bodies gift to you, every single day, hopefully. To tell you whats up, do you see food in there, do you see a little kernel, do you see pieces of lettuce, those are the warning signs. And so lets talk a little bit about the digestive system. We start digesting when think about food. We should be creating some saliva. If you don’t have saliva coming out and you have a dry mouth, that’s indicator #1 your are not going to be breaking down foods efficiently. Then, think about are you chewing. The average American chews about 7 times then swallows, that’s not enough time to be able to break down food. We have teeth. We should use them. Twenty five bites, or not bites, twenty five chews per bite, that at least gives us a little bit of time. Some folks even go out to fifty. I’ve got to be honest, I can’t do it, but twenty five, that’s doable. I would definitely say work yourself up to that. The more you chew, the more you spend time focusing on food and not multi-tasking while your trying to eat, the better off your digestive system is going to be. Now here’s the next thing. Are you taking any proton pump inhibitors? Nexium, things like that. Medications that are going to block the acid in your stomach. If your blocking acid in the stomach, your blocking your ability to be able to process, break down foods efficiently. So, those are big things to consider in the scope of things. So if you have reflux, that’s usually why folks would be taking an acid blocker. If you have re flux there might be another reason why you have that reflux. It might not be that you have to block the acid. It might be that your eating to many tomatoes, peppers, potatoes, onions, garlic, spicy stuff. Too much caffeine. Those types of foods open up that sphincter between the esophagus and the stomach allowing things to shoot up through there. Which, would cause reflux, and so it’s just something to think about in the overall scheme of things in your digestive system. As we move down, as things go into your small intestine. You might not be producing enough of the digestive enzymes you need to break down you food once the enzymes hit that small intestine, and so if you don’t break down those foods, those foods sit on the intestine lining, and what do they do, they ferment. That’s the “making pizza in your belly” as I call that, or maybe, “making bread in the belly” you start to bloat. Why? Because those little molecules sit there and you need all those little molecules to break down, and as that starts happening you get bloated and bloated and more bloated, and so digestive enzymes are key especially if your over thirty years of age, you do reduce those as you get older, and so as things move down into your large intestine that’s where we’re working on all of the re absorption of water things of that nature. That’s where all the bulk of your beneficial bacteria live in that large intestine. If you don’t have a great amount of bacteria in there, well, you might get more bloating, and you might feel cramps, you might feel upset in your stomach, and so those are key components of your digestive system. Now, let’s step back for one second. The small intestine. That is your area where you absorb the most of your nutrients. If those cells aren’t properly stuck together and we’ve got separation between those cells on your digestive systems lining. Things get crossed in your blood stream. Gluten. It’s touted as being such a problem because we have this idea that a lot of people are gluten sensitive, or that folks have gluten allergies. Well, it could be that those cells just separated apart that gluten got into the bloodstream and we’re having an attack on that gluten that shouldn’t be in the bloodstream. What does that lead to? Well. An attack on other things in your bloodstream. And so perhaps as those cells separate apart, you might get other pieces of things crossed. Like say maybe mango, or pineapple, or string beans. Those little molecules get across and now the body’s attacking those. What does that lead to? Different aches and pains in certain joints and muscles and this overall sense of fatigue. Why? Because your body’s not getting the nutrition where it needs to be in those cells and we’re also not getting that healing of the muscular tissue because the body’s way busy trying to figure out all of those immune reactions happening in the blood stream. So your digestive system is very very important and there are some red flags to look for. Gas, bloating, diarrhea, constipation, stomach aches, reflux, all of those are warning lights. Something to pay attention to in terms of determining your owners manual. Why? Because there are foods that are good for some people and not so much for others. It depends on your genetics. It depends on what type of bacteria you have in your gut and it also depends on certain lifestyle factors and if your able to tolerate certain medications that you might have to be on. 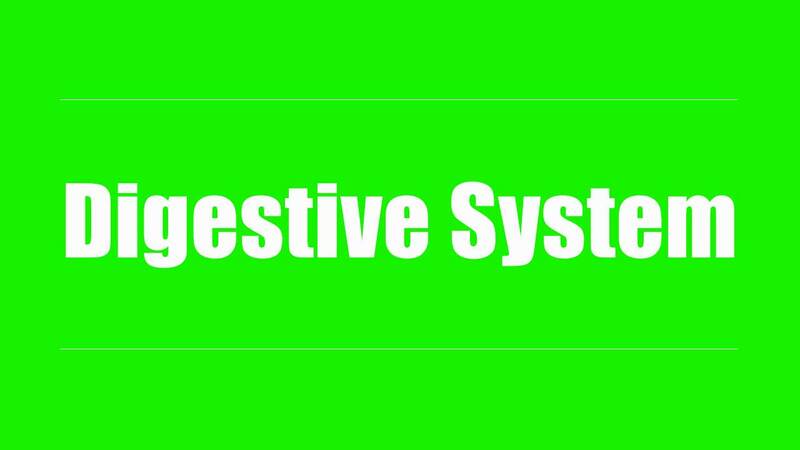 So nevertheless, it’s really important to pay attention to your digestive system and I will be posting certain things on how to check in on your digestive system, in addition to certain checklists and resources so that you can be accountable and check on your digestive system and make sure that it’s running as efficiently as possible. I’m doctor Jannine Krause and this is a little blurb on the digestive system. Thanks for watching.